If its November the Orange Elks will be supporting our Veterans and our active military personal. 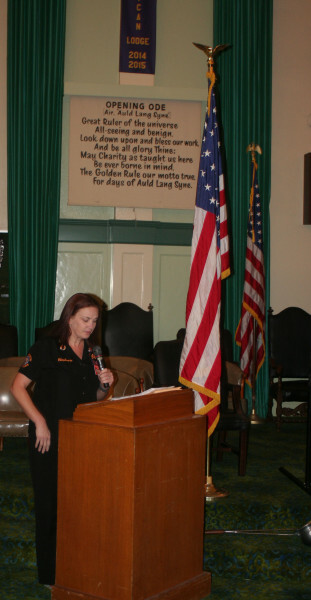 Our Exalted Ruler Stephanie Logan welcomed everyone to our Veterans Night Program and gave a recap of our involvement with our Veterans. 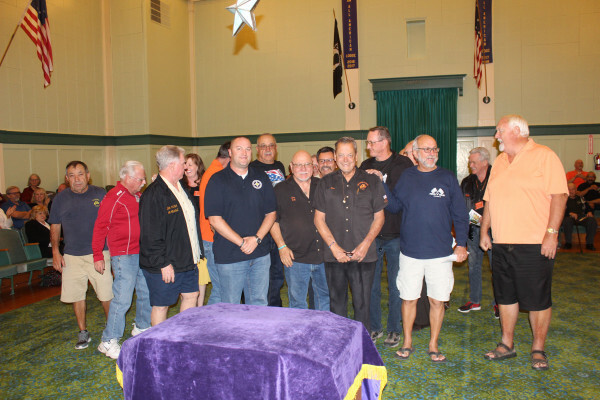 Supporting our Veterans is at the top of the list of things the Orange Elks participate in. A crowded lodge room attended the program. The week started with a lunch at the Katella Grill for the Orange Veterans who were honored with a flag at the 2018 Orange Field of Valor. At the Field of Valor a flag is flown that honors those who are serving or have served our country. Our Veterans Committee Omelet Bar Breakfast served breakfast to these who served. On Wednesday our Veterans attended the Flag lowering at the Plaza. 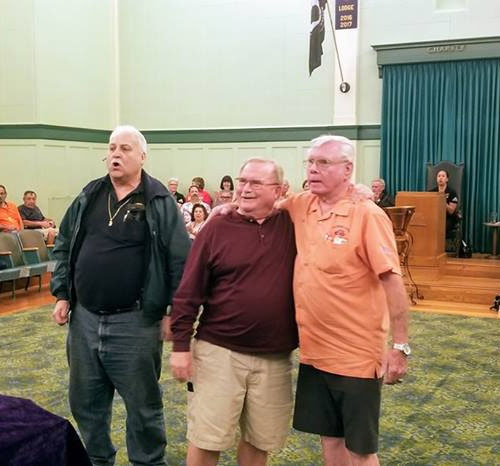 Next was our annual Veterans Day program honoring our Orange Elks members who have served. At this year’s program, Don Westerfield the chairmen recognized and honored our two World War II Veterans who passed away. 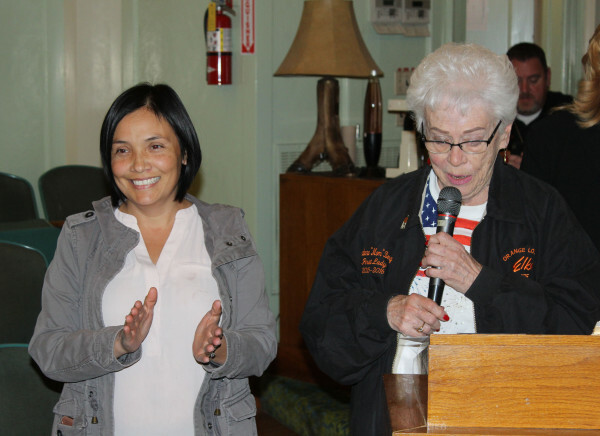 This year our Veterans Committee gave a $1,475 scholarship to Maria Valdivia. Maria was a Sargent in the Army, is a mother of four, the first lady to be awarded the scholarship and will use the scholarship to further her career studying nursing. Maria is presented the award by Barbara Berger. 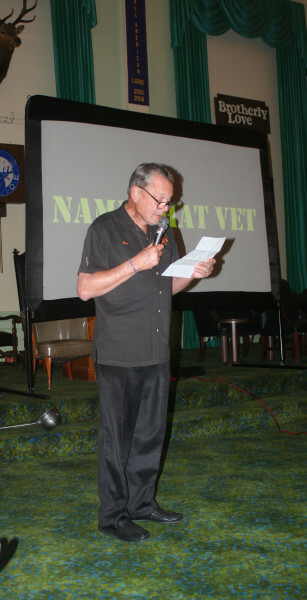 This year’s program included the “Name That Vet” contest where the person guessing the Veteran received a lavish prizes a “100Grand” (candy bar). The program ended with the singing of “God Bless the USA” by Lee Greenwood. Our Veterans are people who, at one point in their life, wrote a blank check payable to the United States of America for an amount up to and including their life. 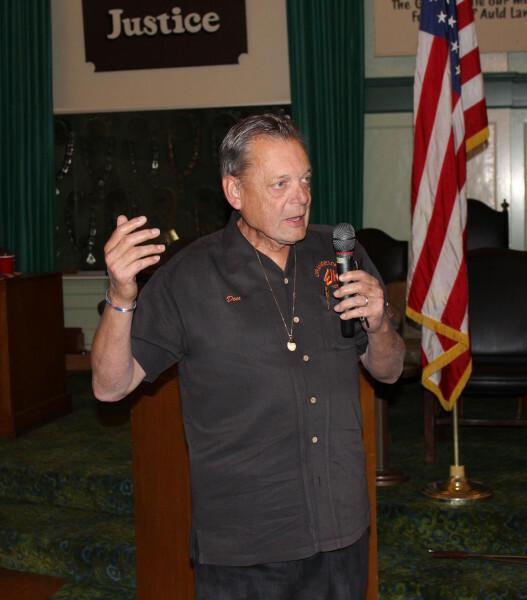 “As long as there is a Vet, the Orange Elks will never forget”! Thanks to Mike Cash and Jeanine Storm for the pictures!